You spent your 20s working toward building your dream career, but now that you’re in your 30s, what do you do when you’ve, well, changed your mind? Or maybe you never quite figured it out, and you’re now ready to commit to something you’re passionate about, whether it’s a job, a city, or just a new way of life. To celebrate the career changes that can come at any age, we’re debuting a new series, . Each week, we’ll hear from women who got over their doubts and fears and made the biggest changes of their lives. Laurel Gallucci and Claire Thomas, the founder of the wildly popular food blog , have, quite literally the sweetest jobs. The co-founders of , a boutique bakery in Los Angeles, whip up wholesome (aka dairy-, grain-, refined sugar–free) treats in a that's almost sweet enough to eat. As with many of the best business ideas, Sweet Laurel was inspired by a personal need. After Gallucci was diagnosed with Hashimoto's disease, an autoimmune that attacks the thyroid, she started creating recipes for her friends and family—one of them being Claire Thomas. "She took one bite of cake and convinced me five minutes later to start a bakery," Gallucci told MyDomaine. "Sweet Laurel is a result of our desire to create beautiful food and share it with as many people as possible." In this installment of Second Life, the founders of Sweet Laurel reveal how they transformed their into the prettiest cake shop in L.A., including the most important lessons they've learned from opening a brick-and-mortar shop, the biggest challenges they've had to overcome, and why every aspiring entrepreneur should ask for help. Tell us about your first career path. Laurel Gallucci: I always wanted to teach and loved any opportunity I could get to do so. After college, I went to grad school and received my master's in education. My first job was teaching at a local high school, where I taught history and co-taught the after-school cooking club, where we cooked from the school's garden. Then I went on to be an elementary school teacher. Claire Thomas: I wanted to be a film director, but there was no clear path, so I chose the next best thing—a development executive! It's one of the few jobs in Hollywood where you work on a project from beginning to end, first with the writers working on the script and then all the way to editing and testing with audiences. My first step on that path was story editing. I loved working with writers, so I started by reading scripts and assisting producers. What triggered the need for change in your career? LG: In my last year as a school teacher, my autoimmune disease (Hashimoto's) began to manifest in a big way. I had little to no energy. I was rapidly losing weight, stopped ovulating and could not digest food properly. After intervention by my loved ones, I took a year off of teaching to focus on my health. It was in that year I began to work with an integrative medical doctor who turned me onto the idea of healing through food. Per my doctor's orders, I removed all grains, refined sugar, dairy, and legumes from my diet. I saw a huge difference in my health and realized quickly that if I wanted to eat certain foods like cake, crackers, donuts, etc., I'd have to make it myself. CT: It was more of a "pile on" than change. I just saw my friend, her story, and a delicious cake and had a vision of what Sweet Laurel could be. Tell us about your current career path/business. What's involved in starting a business? 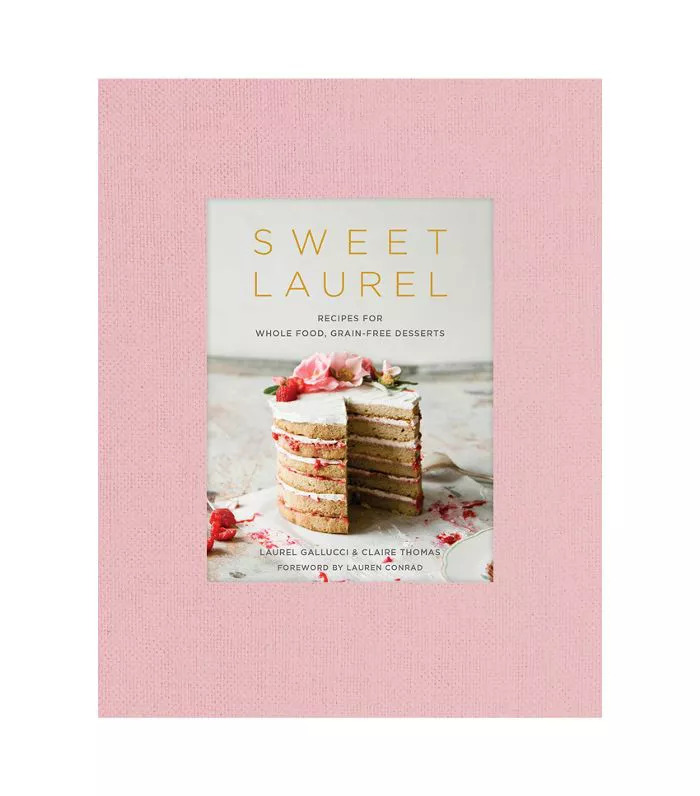 LG: Sweet Laurel is a grain-free, refined sugar–free, and dairy-free bakery based in L.A. We have many arms of our business: online, in grocery stores, recipes on our blog and in our cookbook, and we opened our first retail location in Pacific Palisades, California, in late September. Getting here has definitely not been easy. It challenges me daily, causing me to grow in so many awesome ways, and I'm grateful. The key to getting this business off the ground was partnering with Claire, who handles the creative development and branding at Sweet Laurel. She also takes the gorgeous photos you see in our cookbook and blog. I'd say the key to starting a business is a unique concept and having a team to back it. CT: Sweet Laurel has been such a surprise. I look back and sort of lovingly laugh at my weird confidence that this would be easy. One thing has always been true though—it's so fun. I'm most surprised that Laurel and I are even closer friends now than we were before. Working together is like living together—it's friendship in sharp focus. You become immediately aware of each other's weaknesses, and it's so easy to externalize frustrations. But Laurel and I have always valued how different we are from each other, and how that makes us stronger as a duo. Laurel does things I never could, and that's good when you're trying to bootstrap a business together. What have been the biggest challenges in your various careers and why? LG: In my first career, I learned I wasn't an assertive person, and it was hindering me in my growth. In my current career, I've had the opportunity to work and refine my assertive qualities on a daily basis. CT: People-pleasing. I am constantly trying to calibrate my work to fit people's needs, which is good for client services but death as an artist. With Sweet Laurel, it's a third-person situation, so having a little distance has allowed me so much more clarity on the brand and why it works. Also, balancing them all. When everything happens at once—commercial, blog, Sweet Laurel, and then life—it's exhausting but fun. Why is your current path suitable for your personality? LG: I love reaching people, sharing with people, talking to people and most importantly, baking for people! CT: I'm a crazy Gemini who has to always be moving, so juggling a lot suits me. With Sweet Laurel, that's everything from packaging design to picking out finishes for the store to shooting a cookbook. Laurel and I both have to be Swiss Army knife versions of ourselves to make Sweet Laurel work. What's the most important thing you have learned from making a big change in your career life? LG: There are so many things that happen on a daily basis that could easily discourage you and get you down. Maintaining a positive attitude through the ups and downs, coupled with hard work, is the key to success. CT: Be essential. I don't mean this in an auteur, ego-driven way. I mean be the morale booster, the best collaborator, the most willing to help, and the most positive voice. If people can't imagine doing a project without you, you're essential. Building those networks is necessary to building a long career. How did you move past the fear of change to pursue your passion? LG: At first, I was honestly freaked out by the how—how would we get cakes to people, etc. I just had to start doing it, and eventually, things began falling into place. CT: We started with a great product that filled a need, and then told the story in a way we'd want it to be told to us. We relied on feedback from mentors and people we respected (but didn't take every piece of advice). And, most importantly, when we made mistakes, we didn't beat ourselves up—we learned and moved forward and brought in the help we needed. What are some mistakes you made along the way that ended up helping your success? How did you learn from it/them? CT: I did a lot of wheel spinning in the first five years of my career. I think the biggest learning curve was understanding what was worth my time. It's easy to think you're supposed to take every opportunity when you're starting out, but I would say it's more about taking as many of the right opportunities as possible. What do you love most about your current role and why? LG: I learn every day. As Sweet Laurel continues to grow, my role has changed from baking cakes all day to managing employees and running a company. While this takes up the bulk of my time, I get to spend a great deal of time creating as well. Recipe development is something I love deeply, and at the end of the day, I get to create something beautiful and share it with other people. It's the best! CT: It is so exciting to not only see the brand Sweet Laurel grow, but also grow as a businesswoman with Laurel. She's amazing, and we've been through so much together. I'm really excited about the next chapter. When you look back and reflect on your previous career, do you have any regrets? Or are you still really happy with your decision? LG: My first career laid a foundation for what I love about Sweet Laurel, which is the educational piece of the business. I get to teach every day through Sweet Laurel, whether it is creating a recipe, teaching a private class or workshop, or sharing my story with other people on their own healing through food journeys. I'm super grateful for the years I spent in the classroom, as I feel very comfortable speaking to groups and running a workshop or class. All in all, I feel like everything happens for a reason, and my first career was just a previous chapter of my story. CT: Of course! I think my biggest regret is letting my people-pleaser side take over too much. I should have been focusing on why I loved what I was doing and finding my voice, rather than doing what I thought people want. I still struggle with this. It's so easy to chase your own tail. But with Sweet Laurel, because I'm a little more outside of it than my blog, , which is quite personal, I find it a lot easier to see what's authentic to the brand and what we're doing. What advice do you have for other women who want to branch out and make a change in their lives like you have? LG: Find a friend who supports you and who won't let you settle for second best. CT: Ask for help! At this point, everyone we love has helped us in Sweet Laurel. Whether it's making deliveries, packing boxes of books, or taste-testing—there's no task too small when you're starting out. For more inspiring stories from successful women who've made major career changes, tune into MyDomaine's Second Life podcast.